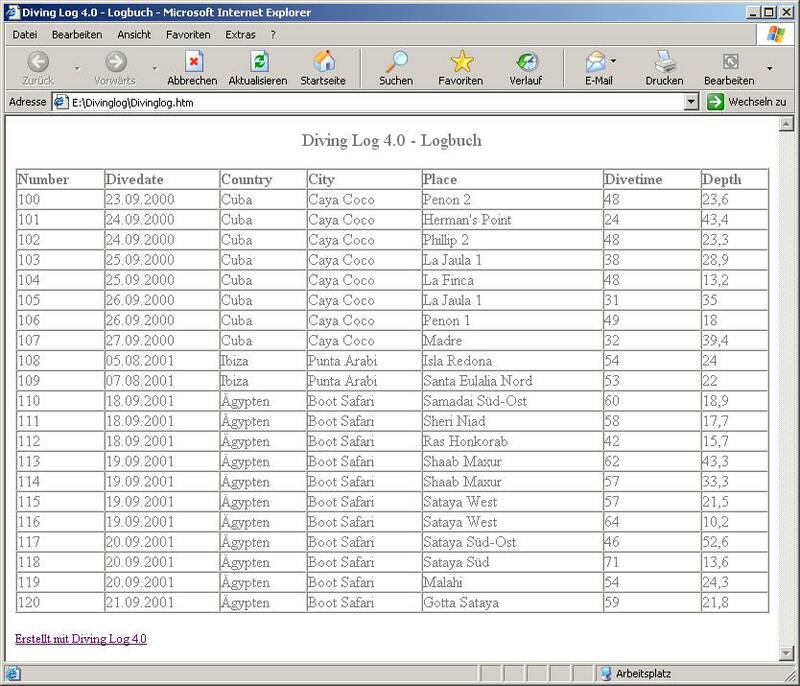 Divelogs.de is a website where you can register a free online logbook. 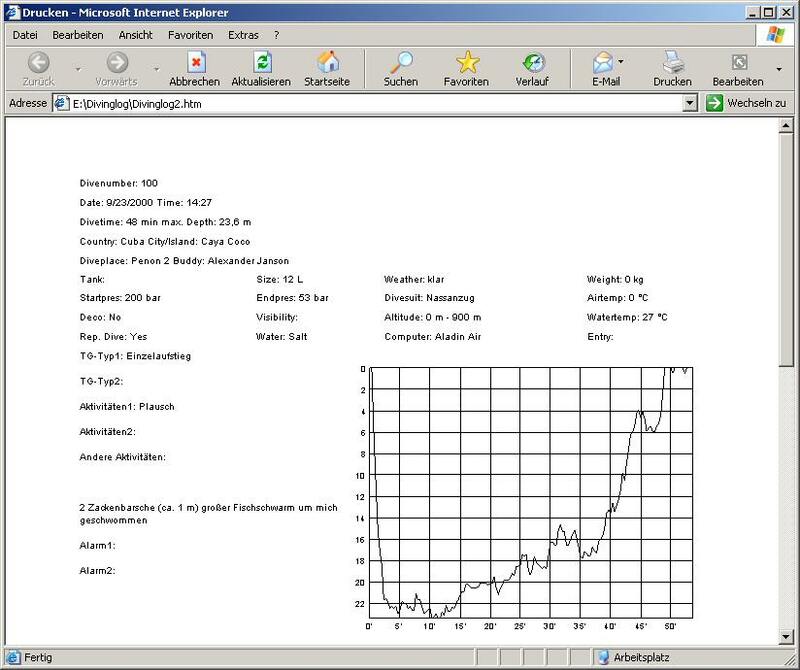 You can export your dives from Diving Log into the UDCF format and upload them to divelogs.de. Your online logbook can be private or public and included via iframe into your own website. You can upload your dives either by a SQL dump file or via direct connection to the MySQL server into the internet. A webserver with PHP and MySQL is required. Setup the preferences as you want, start the export and upload the file to a webserver. Select in the field "Direct to" the entry HTML Format and upload the files to a webserver. You can also use the PDF Format.